Click on this image for a much larger view size. 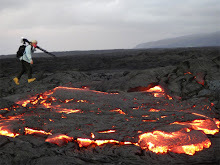 Walk-in lava touring groups held a safety oriented meeting yesterday morning at Kaimu. 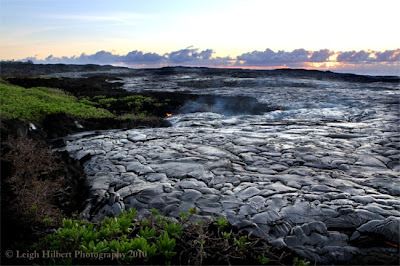 As the lava delta, which lies just southwest of Kalapana Gardens community, increased in size by the ongoing July-to-the-present eruption - so have the number of tour groups and number of customers to the area. 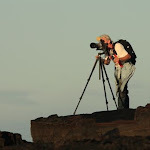 Due to this growing number of people making the arduous hike out to the ocean entry lava there has been a sizable number of people trekking right out onto the newly forming raw land. 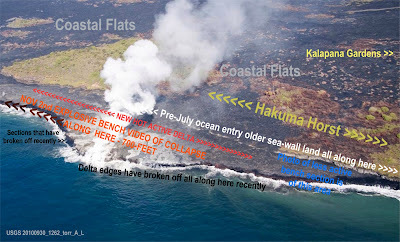 The concerns lie in the inherent unstable nature of a developing lava delta, or bench. 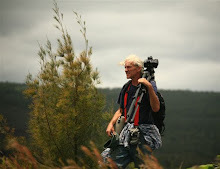 I have written extensively on this blog about both the reality of bench collapses and explosive activity within them, as well as my concern for all the tour-led and non-tour-led individuals and groups marching out along the lava-pouring edges of the benches; the last of these posts here. So even though I did not attend the meeting I was told about it in detail by five attendees and I was really pleased to hear about the focus of the gathering being largely on the dangers of delta’s and what steps could be taken to address that as well as other safety issues like size of groups under one guide and getting accident response systems in place; and all of this shared between otherwise competitive tour groups. This is good. I believe lives will be saved as a result of this meeting. 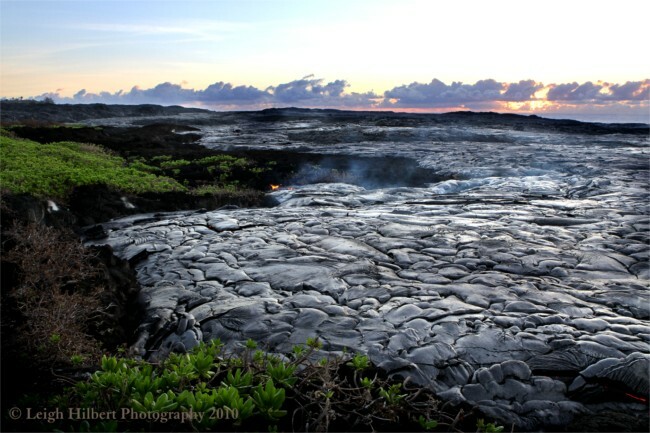 Those of you who check in here often will remember this recent photo of the lava delta being discussed here. I have added it again below and want to point out that this is where the majority of the tour groups arrive at and then make the decision of whether to stay up on the safety of the higher old sea-wall land, or take people out onto the lower hot new lava bench to get closer to the lava pouring into the ocean out along the delta edges further along towards the west. Now take this next thing into consideration: That video I shared with you earlier in the week was recorded right there on that same bench, only further along it; a large section of that outer edge of that bench ripped apart creating some very explosive action. I have reposted that movie clip below the delta shot: Far east end of active lava bench above. 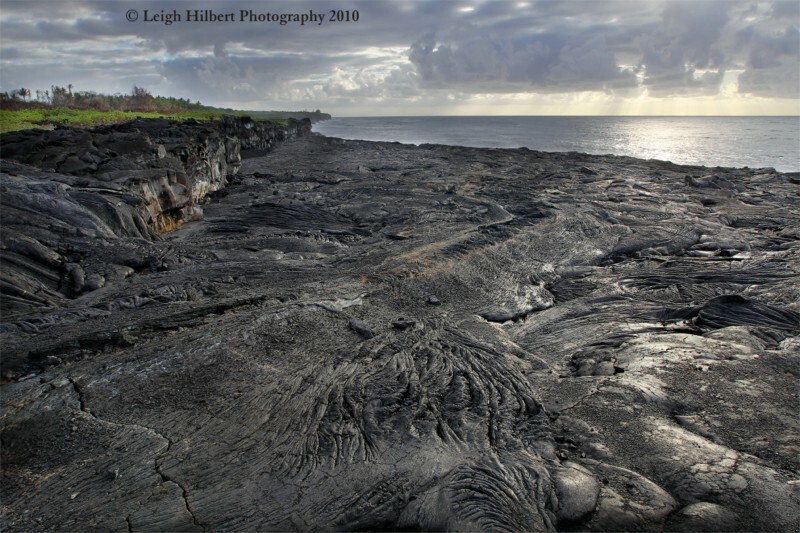 Below: looking east but from the west end of the lava delta/bench. Public lava viewing is from the access road off the very end of Highway 130. There is a parking area, port-o-potties and security personnel on site between 2:00 Pm and 10:00 PM daily. Last car allowed in at 8:00 PM, but you can stay in the area until about 9:30 PM. A half-mile walk down the road from the parking takes you to where recent lava covered it, as well as affording vista views of the lines of degassing fumes wafting from the underground lava tubes that presently carry tremendous amounts of liquid rock for miles down slope to the sea. 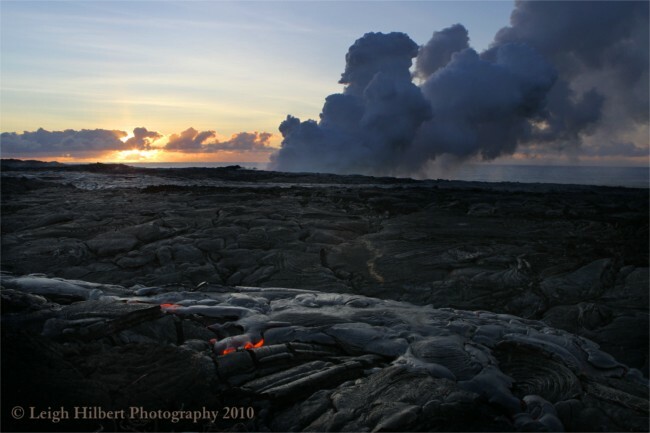 And from the road you can see where the lava vigorously pours into the ocean and huge plumes of steam rise up. After dark the base of this steam will glow red and orange colors from reflective molten lava. 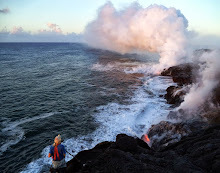 Periodically there have been sizable surface flows of lava breaking out well within view of the access road; these breaks have often flowed close to, and on to, the viewing site these past months; conditions for that change weekly. 430-1966 or 217-2215. The main Civil Defense lava viewing hotline is 961-8093. Walk-in tour groups can often be located at the vendors’ area of the county viewing parking, again, located off the very end of highway 130.